If you and about 1420 of your closest convict, marines and sailor friends were about to set off an expedition to Mars, what do you think you would take? That was the question faced by the British bureaucracy when provisioning the eleven vessels of the First Fleet in the late 1700s, before they set sail for Botany Bay and New South Wales. A destination, by the way, where Captain Cook and Sir Joseph Banks, et al had previously spent all of three weeks – apparently that is plenty of time to proclaim a continent perfectly suitable for a new colony! Environmental impact study, anyone? Anyone? Hello? 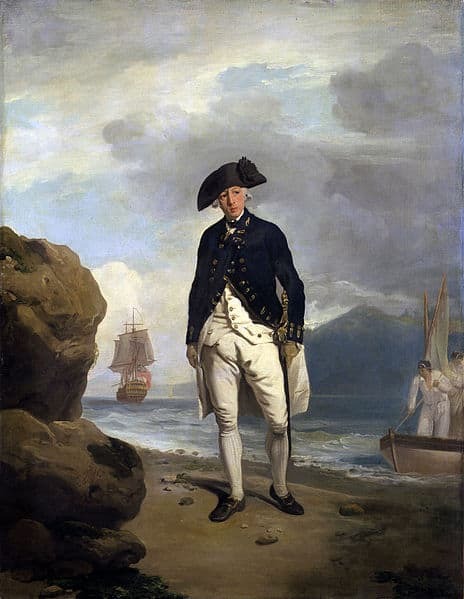 The eminently sensible (and long-suffering) Captain Arthur Phillip managed to mitigate some of the bureaucracy’s wilder gaffes but the cargo list still contains some doozies – what on earth were they thinking? A piano. * Well, obviously you would take a piano, wouldn’t you? On a crowded ship. To the other side of the world. It’s not like you’d take something smaller like a flute, or a tuba. That would be silly. 200 canvas beds. Yes, but even if the convicts had to sleep on the ground the officials, marines and their families still numbered more than 300. Doh. 3 snuffers. For snuffing out candles. Yep, indispensable. Couldn’t possibly leave without a snuffer or three. 3 dozen flat irons. I really, really hope these were the sort of irons you use to do the ironing. Because there is nothing worse than creased clothes when one is establishing a penal colony in rugged bushland. 48 spinning brasses. Nope, no idea. 700 gimlets. 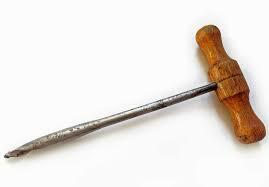 A gimlet is a small T-shaped tool with a screw tip for boring holes. 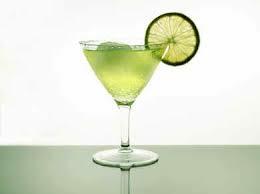 It is also a cocktail of gin (or sometimes vodka) and lime juice. I’m guessing they packed the former even if they might have preferred the latter. Shame. 135 Tierces of Beef, 50 Puncheons of Bread, 110 Firkins of Butter, 8 Bram of Rice, 5 Puncheons of Rum. Nothing at all remarkable here but I just wanted to enjoy the words. Tierces. Puncheons. Firkins. Brams. How is it that a puncheon can measure bread and rum? 5,440 Drawers. I do hope this refers to under-drawers. Let us pause for a moment, shall we, to wonder how they decided 5440 was the correct number. And, to finish, I wonder how Governor Phillip’s greyhounds got along with Reverend Johnson’s cats? * The owner of the piano, a ship’s surgeon, generously gave it to Elizabeth Macarthur when he departed the colony. She had been using it to learn how to play, and bragged to her friend in England of managing to master Foote’s Minuet and God Save the King. A complete inventory list is provided below, and is sourced from the website of the First Fleet Fellowship Victoria, an organisation for descendants of those who arrived with the First Fleet in 1788 with Captain Arthur Phillip. I make no claims as to its accuracy as the First Fleet Fellowship have not themselves provided a source for this list. I love this: thanks for sharing it! If you’ve never looked into the cargo Burke & Wills took on their wander, I can recommend it. Love it. Would you like a tierce of fries with that? Ha, ha. Nice blog Michelle. My favorite story is that the first fleet was delayed from departing the UK because of a strike about the amount of grog to be carried for the crew on the journey (ref: Manning Clark’s History of Australia Vol 1). Seems somehow appropriate for the beginnings of colonial Australia. Hi Ralph! What an awesome story and yes, absolutely appropriate. Cheers!